Chris Anderson lived in California when he met his wife artist Anna Von Mertons, but he fell in love with Peterborough, New Hampshire when he visited her family home there. It took several years, but Chris managed to convince fellow executives at Borrego Solar Systems of the advantages of an East-Coast office that allows him to telecommute from Peterborough. The small company quickly grew to a major provider of over 1000 grid-based solar installations to commercial and government operations. 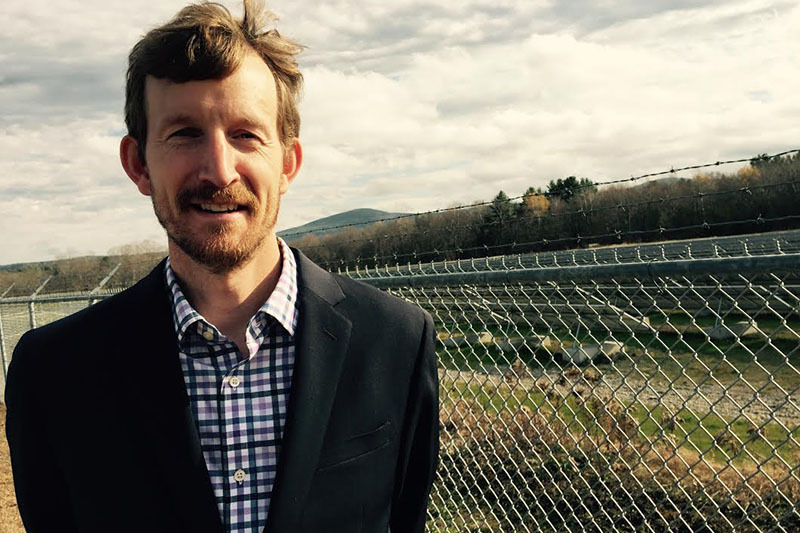 It is a point of pride that Chris was able to bring the largest solar project in NH, with no local taxpayer funding, to the town of Peterborough, saving the town at least $25,000 per year in electric costs and the equivalent of approximately 300 vehicles’ carbon footprint.